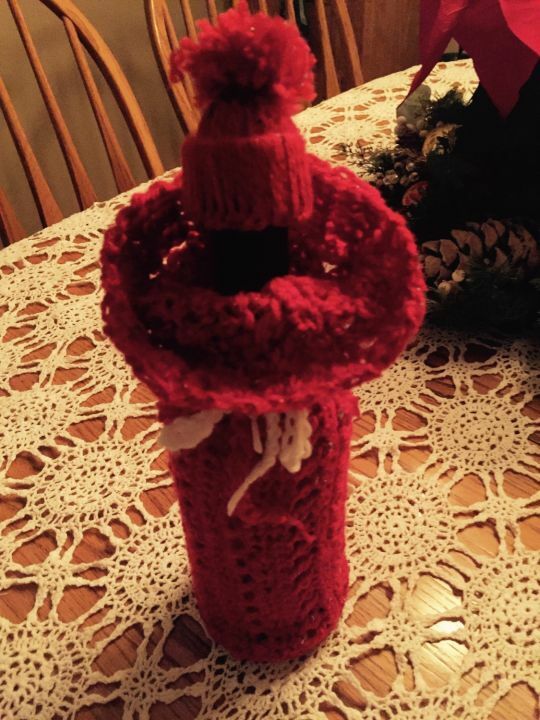 Crocheted a fast and easy wine cover bottles for a gift exchange. Turned out adorable. Followed a YouTube video tutorial by the Crochet Crowd “How to crochet a wine bottle cover”. Made a matching hats by following a YouTube video tutorial by Homestead Acres “How to make a mini hat Christmas ornament”. So cute!